How come all the rich men and women in Hollywood movies work in the world’s top financial companies? If you notice, they are always looking at the stock markets, at the financial trends and discussing an endless array of numbers. That is because everyone knows that jobs in the financial sector are usually quite rewarding and lucrative! But this was just one witty example of why one should consider crafting a career in finance. There are many other practical and “real-world” relevant reasons for one to look into this discipline. Let us explore further. The first thing to understand here is that what is finance? Finance is the management of large amounts of money by the government or large organizations. 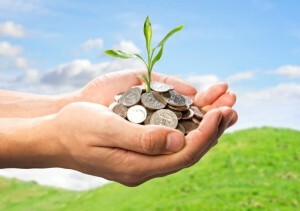 Finance may also mean the provision of funds to an individual or an enterprise. The study of finance revolves around how money is managed and how to distribute and allocate funds in order to maximize profits and further capital. Some people refer to finance as a science which comes along with all its technical aspects and intricacies. When talking about professional development and career choices, finance as a major may be a clever option. This is so because finance is not limited in its horizon, in fact, it branches out into several sub fields which an individual can choose from and specialize into. Let us guide you into this discipline in a systematic manner. As the finance industry is extremely lucrative, finance related jobs have a high standard of even the basic qualifications required to break into the industry. For the most part, an undergraduate degree is an absolute must if a candidate wishes to be considered for a particular finance job or role in an organization. Moreover, competition nowadays is quite tough as many job seekers who apply to finance related jobs have graduate degrees such as an MBA, Master’s in finance and PhDs in their area of interest. As with certain other disciplines such as accountancy, finance too has a unique set of professional certifications, qualifications and licenses that a candidate can acquire. These may include professional designations such as the Chartered Financial Analyst (CFA), Certified Financial Planner (CFP) or Certified Public Accountant (CPA). Other professional licenses include the Series 7 and Series 63 licenses. As with other professional qualifications, candidates are required to thoroughly study the course of study and pass all the examinations that are designed in order to polish and build up an individual’s knowledge of finance related concepts. Majoring in finance means that candidates interested in specializing in this field must undergo extensive study and exposure to several aspects of the discipline. Any finance degree or professional qualification is going to prepare individuals to plan, manage and carry out an analysis of the financial and monetary facets of an organization, business enterprise, banking institution etc. Degrees in finance also include instructions in related disciplines such as accounting, financial instruments, capital planning, acquisition of funds, management of debt and assets, budgeting, financial analysis and management of portfolios and investments. Individuals who are aiming to establish a career in the successful running of a business and also enjoy working with numbers are ideal for qualifying for finance degrees. Students with an added interest in number crunching, analysis and the application of concepts in the real, practical world will also appreciate this major. Finance degree jobs are ideal for graduates who wish to be involved in strategic and important tactical decision for the organizations they are working for. This requires a knack for solving complex mathematical problems as well as knowledge of computer usage. Once students have nailed the qualifications part of the finance degree, it makes sense to start searching for an appropriate job according to their area of interest or specialization. Looking for jobs with a finance degree in hand can be as tricky as any other job search, as one must know exactly which branch of finance he or she wants to pursue, and whether they have the skills set to do so. Finance jobs exist in almost every country and metropolitan city in the world. However, if one should get specific, then it is useful to know that the largest concentration of finance related jobs exists in international financial centers of the world. These include cities like New York, Shanghai, London, Hong Kong, Zurich and Dubai. For many companies advertising finance jobs overseas, excellent command over the English Language is necessary for a healthy flow of information. In the recent times, developing countries are also catching up to the advancements in finance and as a result, job growth has improved significantly. Individuals who are residing in smaller cities may not come under pressure as financial institutions etc. have their branches in smaller cities and areas as well. Jobs pertaining to this branch of corporate finance involve working for an organization where one has to find and manage the capital necessary for the smooth running of an enterprise. This is done while trying to maximize corporate value and reducing financial risks to the organization. Other functions involve managing mergers and acquisitions, calculating value of the acquisition targets etc. 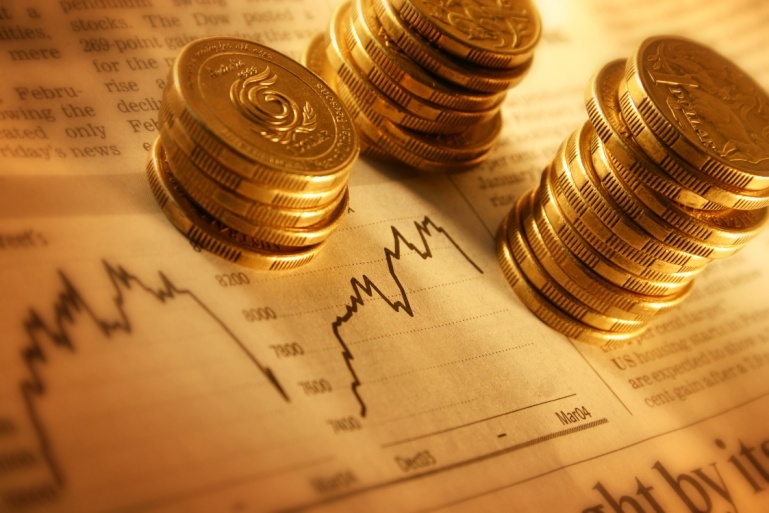 Corporate finance positions also include financial analysts, treasurers and internal auditors. Commercial banks are involved in a variety of financial services. Hence, career options are also diverse. Positions include bank tellers, loan officers, operations, marketing managers and branch managers. Talented individuals can also land into key positions at the head office. Investment banking is considered a glamorous and intense job at the same time. These jobs deal with the facilitation of issuance of corporate securities and making these securities available for different investors. All this time, trading of securities and providing financial advice is also being managed by investment banking professionals. Working in an investment bank would lead to interaction with issuers of securities, acquisitions and mergers professionals or the trading desk. Private equity professionals aid in finding capital for expansion as well as for current operations of the organization. These professionals also help provide financing for different corporate business transactions. Venture capital specialists spend a lot of time and energy wit small enterprises and start up firms. These are usually fast growing companies. Venture capitalist firms usually examine the bids made by the entrepreneurs in order to determine if they are in a position to make an investment or not. Financial planners are involved in developing plans which ensure financial stability of companies. In a typical scenario, they first review a company’s financial goals and then develop a plan for saving and investment. This plan might focus on preservation of wealth or investment growth. Moreover, it may even include real estate and taxation planning. Finance jobs in the insurance industry are quite useful and lucrative. They basically help businesses and individuals to foresee the risks and protect themselves from any losses. Most insurance jobs are advertised by well established insurance companies. Public accounting may cover many opportunities. The work of public accountants is to help businesses and individuals keep record of their finances. Public accountants are involved in recording business transactions, making financial statements, audit of financial records, preparation of income tax returns and consultation services. They may work in close partnerships. This entry was posted in Jobs in Finance and tagged advertising finance jobs, careers for a finance major, finance degree jobs, finance major career options, finance major description, jobs with a finance degree.